Purple is the new pink! The Colltex PDG race skins are top of the line Swiss technology. 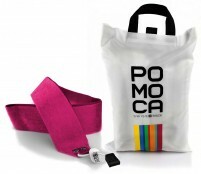 Found underneath the skis of many European champions, the PDG skins are 100% mohair with a special glide treatment. They weigh in at 20% less than other mohair skins from Colltex, yet corners were not cut. The sleek violet racers are woven strong enough to keep the hair attached to the skin, with a special edging technology to prevent fraying. The skins are straight cut and straight fast. Kits include 160cm parallel skins with widths of 60mm, 62mm, 65mm, or 68mm. Comes with tip bungees that are secured by tying a knot behind a washer. 100% Dry waterproof membrane separates the pile, which is also treated to repel moisture. Mohair fibers are specially selected for their quality and length to give the fastest glide possible. 100% Grip weave orients the fibers in the right direction and securely fixes them to the sheath. Edge+ material prevents fraying along the edges, making any extra sealing unnecessary. Tested by the SLF (Swiss snow & avalanche institute) for grip, glide, and overall quality. Still trying to figure out if these or Pomoca are fastest, but love the foldability of the Colltex skins, and the color. No issues so far, and good durability. Hello guys, I am a bit new to skimo racing and I just bought these skins as second pair, but I am a bit surprised that in the manual is that they cannot be put together layer on layer...only on plastic net....is it true? How can you make a quick transtion from walk to ski with putting skins on same plastic net??? Sounds ridiculous. Thank you. Hello Lukas! They have been sending that warning with their skins this season. Not sure why they have been sending it, but they're fine to stick glue to glue. I have been folding them in half without the plastic net for 3 seasons now and they are aging well. has anyone experience with race skins on some serious ski mountaineering, e.g., on a multi-day tour in high altitude? Is the missing tail mount a problem? Do you have problems following the tracks of others because the grip is too weak? Hi Matt, a number of our employees and regular customers have done a fair amount of what you describe on race skins. With glue that is in good shape and proper skin maintenance in the field, it shouldn't be a problem. As long as your skinning technique is good following others shouldn't be a problem unless they insist on setting sadistically steep skin tracks. Hi Matt, if you add some Gold Label glue to the tails, they can be very reliable. I would add that, depending on the mission, folks will sometimes carry backup race skins, just like they do in races. This have been my first set of mohair skins and I've used them a half dozen times, both in sunny wet conditions and negative night time conditions. They've worked well in the full gamut of conditions. No issues with the glue to date, and the glide has been a vast improvement over my nylon/mohair mix skins. I have noticed that after several hours in warm snow the skins get fairly wet, but this hasn't negatively affected their performance so far. They also fold down into a compact package. I plan to order a second pair shortly. I've gone through a few pairs of these over the last couple years and after trying every other type of skin, I think they are the fastest. They are also one of the lightest, fold the smallest, and come in varying widths which is nice when one needs better climbing ability. The glue isn't the best, but that is easily remedied by adding a touch of gold label to the tails. can these be used without a notched shovel. i.e. can they be looped around ski tip? Hi Mike, in theory that could work but I think the edges of the ski would fray the cord. Putting one of those plastic sleeves on the cord may help. So might a ski without edges up there. 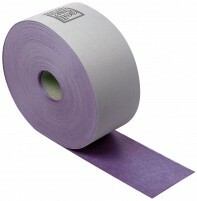 You can also get this skin off the roll and put a more normal BD or Pomoca tip on.